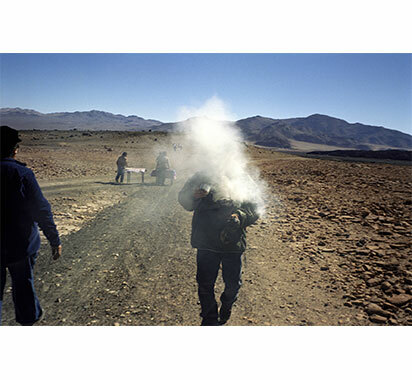 The exhibition brings together three generations of Chilean photographers: Zaïda Gonzalz, Alejandro and Alvaro Hoppe, Luis Navarro, Claudio Perez and Leonora Vicuña. Rooted in a land geographically tormented and where the trauma of recent history is still palpable, the work of these photographers have an expressive and original artistic value. If the eye of some was built under the dictatorship, in the street, in the heart of the fighting that took place there, the eyes of others reflect a marked interest in the marginalized sections of Chilean society. It emerges from all a special poetic vision, sometimes unusual, born in the transition from one century to the next, the twentieth to the twenty-first.